With the addition of the reading nook in our master bedroom (more about that next week!!! ), comes the need to really cozy up the space. I'm so thankful for this little corner, it's a wonderful spot to unwind after a busy day. 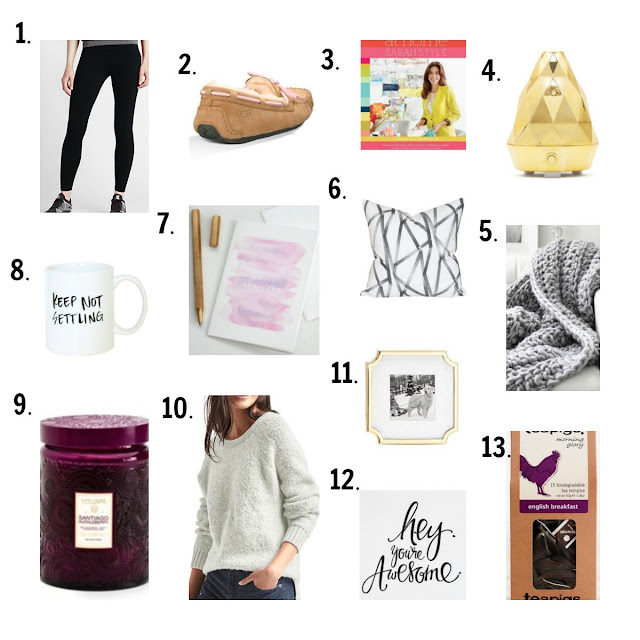 With that in mind, I put together a gift guide for the reader, or for those who just love to have a minute or two of quiet time to write a note, flip through magazines or sip a cup of tea. As always with my gift guides, I've only included items that I have and love, or that are currently on my own wishlist! Enjoy!